Six piece Veridian are Brit-rockers currently residing in Reading. Following their tour alongside fellow Brits Evarose earlier in the year, they make their return in the form of five-track EP 40826D. 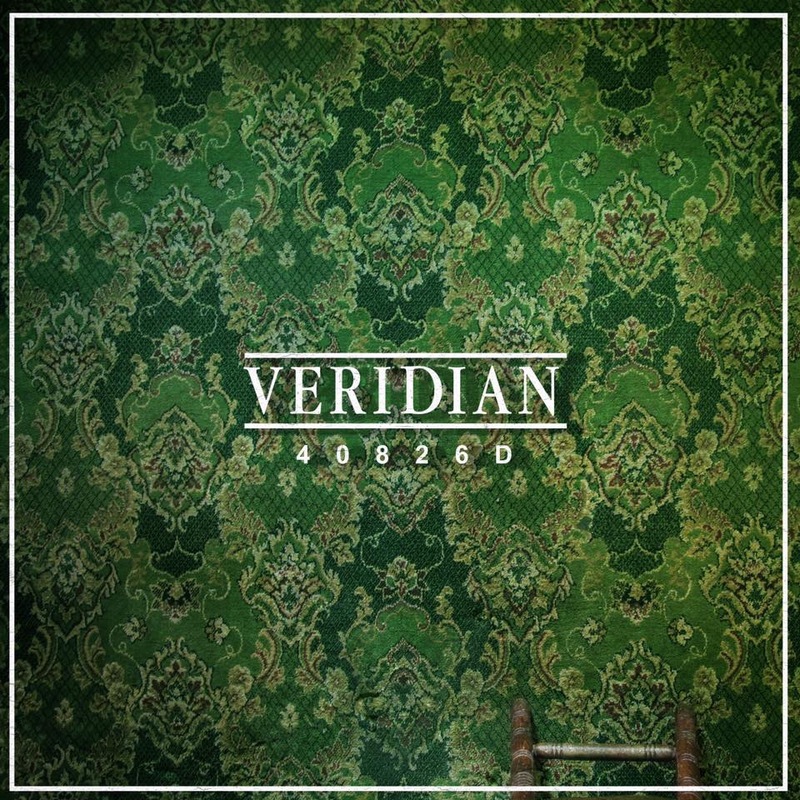 Named aptly after the colour hue with the same name (albeit named viridian), the EP are set to put Veridian firmly in the spotlight and supply the distinction the group clearly deserve. The group hold nothing back as they plunge straight into the record with power and dominance that captivates all. Headlights has plenty of dynamic melodies and progression that has been incredibly well produced from start to finish. They waste no time in getting stuck in to giant riffs and traditional elements of melodic rock that are bound to easily please many. The debut single to be released from the record follows; Sleep A Little Better is a track that shows off Veridian’s distinct sound that they have developed since previous singles released during their career. It packs a bold punch that is impossible to ignore. Their strong resemblance with Young Guns is prominent in Follow, which features vocal hooks that could easily be mistaken for YG’s own vocalist, Gus Wood. The similarities don’t stop there either: with heavy hitting riffs and pure emotion that is presented can also pay tribute to additional melodic rock tinges from Mallory Knox or Lower Than Atlantis. The song showcases the extensive capabilities of the group, including trance-like keys as a welcome addition that compliments the melodies and power wonderfully. This record successfully demonstrates the true potential of the group and sets the bar for future endeavours down the alt-rock path they have established. They competently composed tracks that enable the sextet to expand their sound with bigger and bolder emotion, coupled with ambitious song writing that really pushes them to their full potential. For such a newly established band, these guys are already sounding strong and it’s only a matter of time before they conquer great things. ‘40826D’ by Veridian is released on 12th May on Primordial Records.